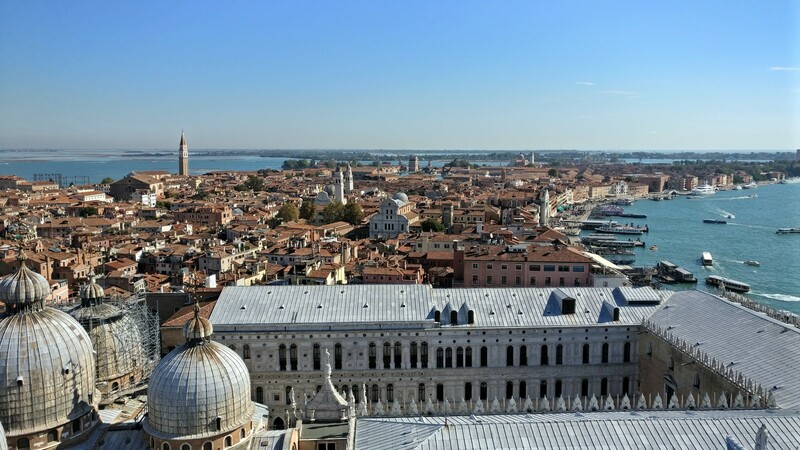 Gorgeous Venice is mostly flat but there are a few old catherals rising up above all other buildings to offer you some spectacular views of Venice and the area. 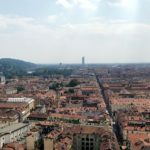 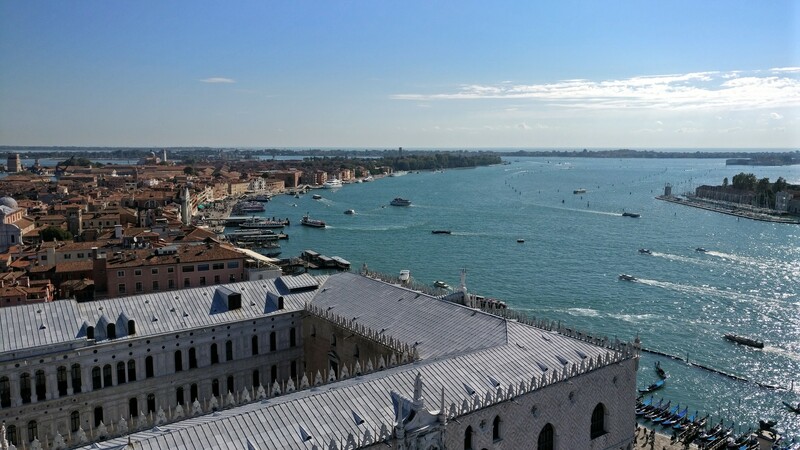 During my last day in Venice I queued up to go on to the Basilica di San Marco Observation deck. 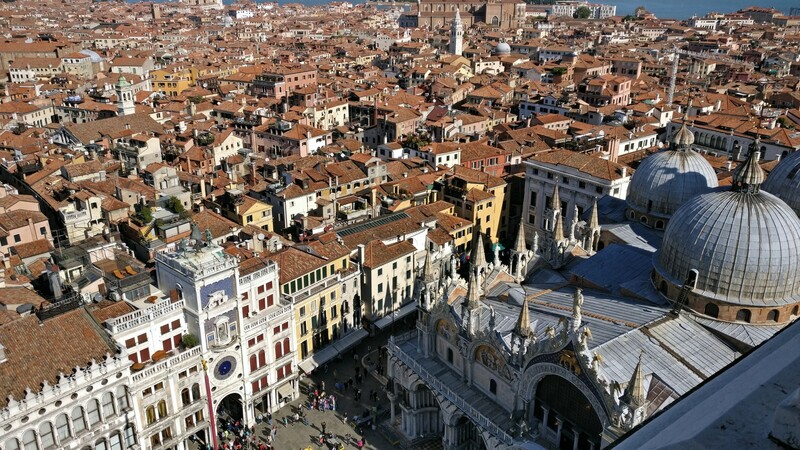 Small elevators and a very old building for one of the top view points in Venice makes for a very long queue, but if you come early enough it wouldn’t take too long. 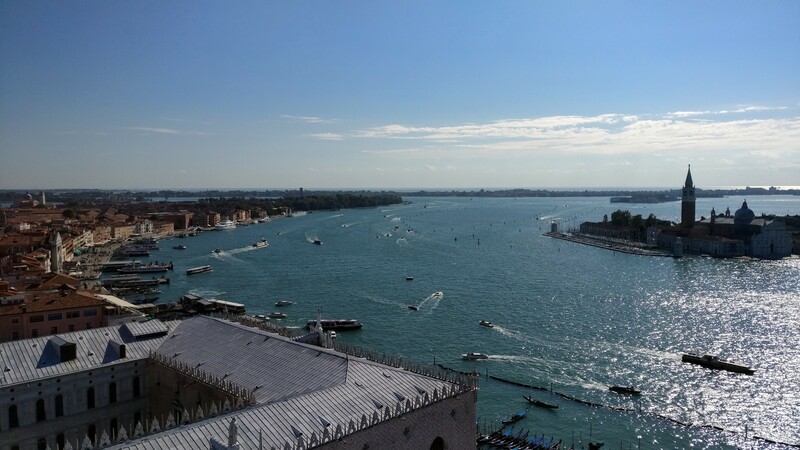 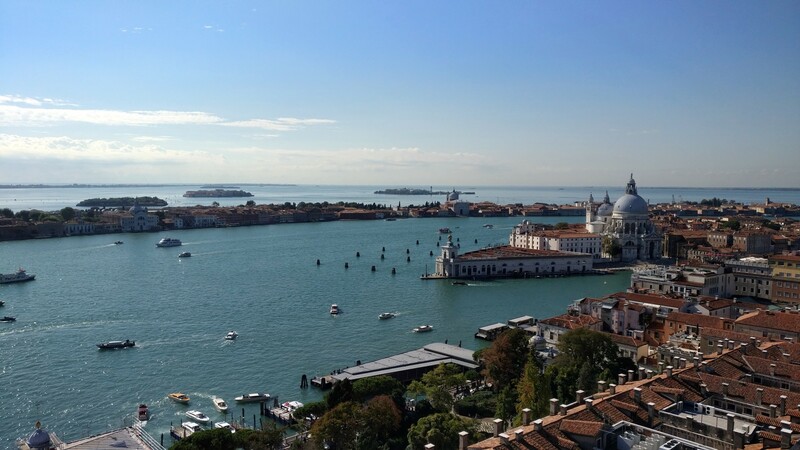 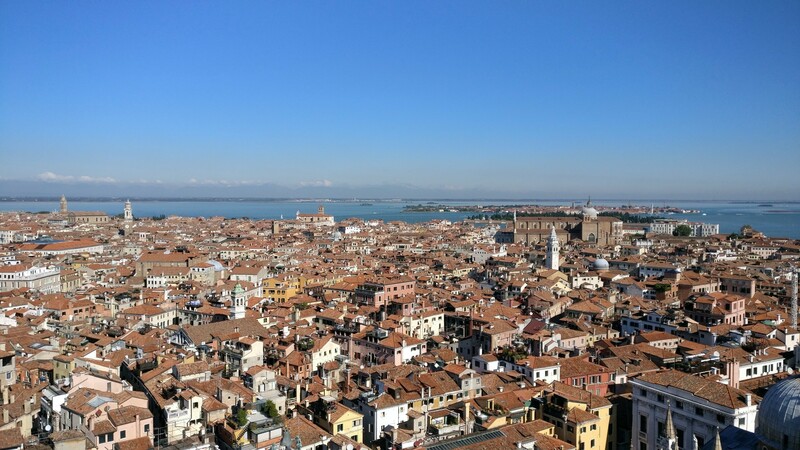 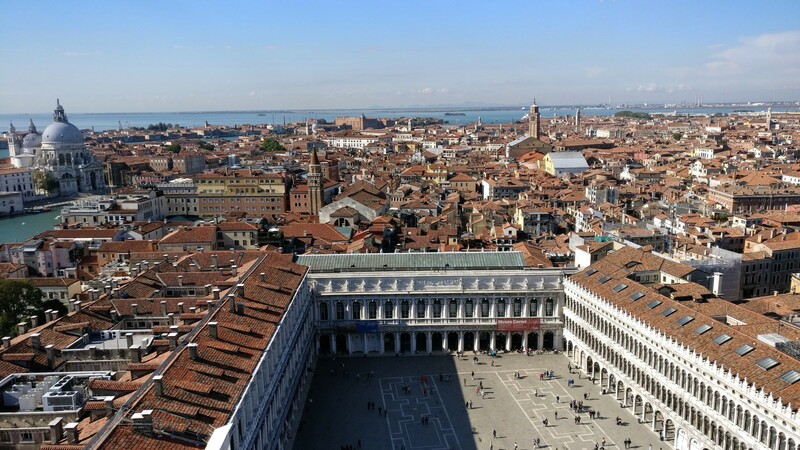 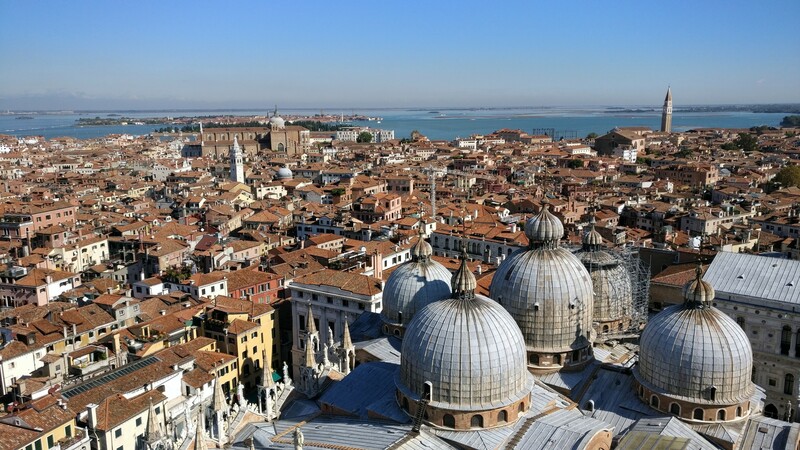 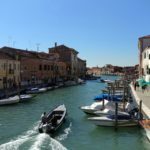 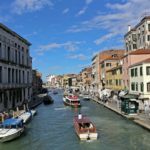 And, the views are definitely worth it, there’s a reason why Venice is a tourist mecca. 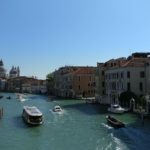 Come early and avoid the queues, it’s well worth your time.